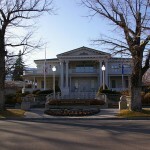 Cal Neva Lodge and Casino, reported to be temporarily closed for complete renovations, is said to be haunted by some famous spirits: Frank Sinatra and Marilyn Monroe. Frank Sinatra owned the place in the 1960s and Marilyn Monroe stayed in a cabin here as well. Both Sinatra’s and Monroe’s cabins are available to guests. 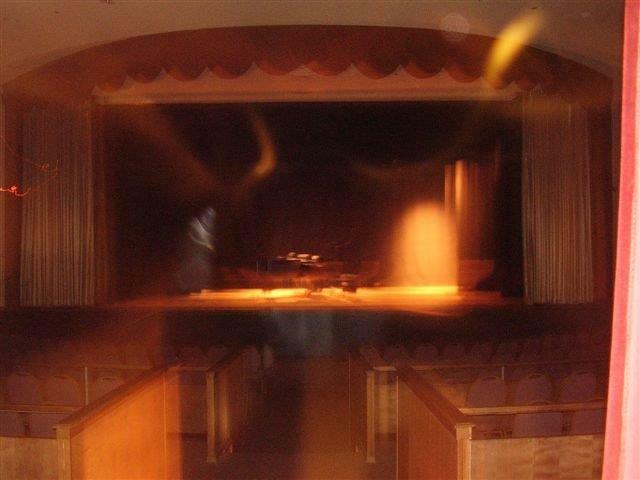 An Indian spirit is rumored to reside here too, and was once captured in a photograph on the stage. My family and I have stayed here a few times. On one occasion, we took part in the “Underground Tour” which visits the secret rooms supposedly used by the mobsters of the day. The tour ends in the Frank Sinatra Theater. The tour guides let patrons walk around the stage and backstage area pretty freely. While the bulk of the group were over on stage-left, I remained on stage-right. As the tour guide was explaining the musical acts that have performed on the stage, I heard a woman’s soft voice whisper in my right ear. When I turned to see who was that close to me, there was no one there. Thinking this strange, I walked over to the group and the tour ended. After everyone disbursed to the exit, I caught up with my Mother who was also on the tour. As I was about to tell her what happened, she tells me the same thing happened to her at center stage where she was standing. I can’t say that I recognized the voice who whispered in my ear and neither can my Mom. but it was still an interesting experience. Taken through the doors of the stage.